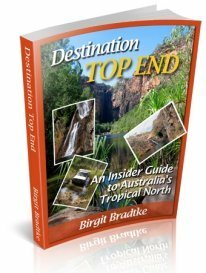 •	Gunlom Falls : Travel through Kakadu National Park to make our way to Gunlom Falls where we will enjoy a relaxing swim in the waterhole at the base of Gunlom Falls. •	Yellow Waters Billabong : Cruise on the Yellow Waters Billabong where it’s possible to see estuarine crocodiles in their natural habitat. One third of Australia’s bird species is represented in Kakadu National Park with at least 60 species found in these wetlands. 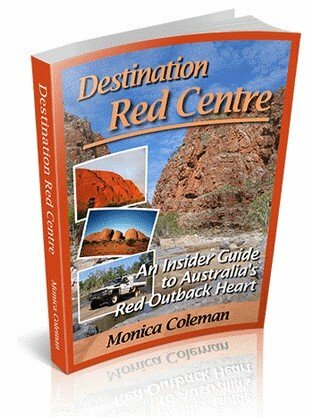 •	Nitmiluk National Park and cruise Katherine Gorge : . cruise between the towering, the region’s rich flora and fauna, and explain the significance of the gorge’s Aboriginal art. At the Nitmiluk Visitors’ Centre you will see informative displays outlining the geology, landscape and Aboriginal history of the national park. •	Katherine Gorge : cruise which takes in two of thirteen gorges carved through ancient sandstone by the Katherine River. •	Bullo River Station, made famous by top-selling author Sara Henderson whose books vividly described station life. A long 500km drive from Kununurra to Katherine with a relaxing stopover half way at Timber Creek : a truly spectacular drive amongst some picturesque scenery. Along the way you will cross over the beautiful Victoria River and escarpments. 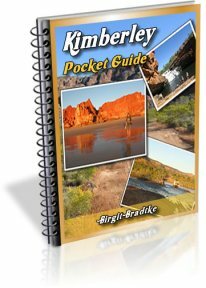 Depart Kununurra and travel to Purnululu National Park, home to the famous Bungle Bungle Range. Farewell the Bungle Bungle Range this morning and join the famous Gibb River Road as we make our way to El Questro station, a million acre cattle station in the heart of the Kimberley frontier. •	Full day to discover the beauty of Mitchell Falls, with a magnificent system of waterfalls and Aboriginal art. •	King Edward River Crossing. Continue to our overnight wilderness camp on the banks of the King Edward River, an area which is the traditional home of the Ngarinyin Aboriginal people. •	Geikie Gorge Cruise : cruise through the striking coloured walls of Geikie Gorge. •	West Coast Subset : End of our Journey , Bravo !!! Sorry I publish this so late. It was submitted in another section and I didn't see it in time! Thank you for putting that much detail into your itinerary. As far as presentation goes, this is the best submission I ever had. But now I have some bad news for you. Apart from day 6, 8 and 9 every single day of this itinerary is totally unrealistic IF you actually had planned to do everything yo have listed there. There is NO WAY you can cram in even half of what you try to cram into those 11 days. The driving from overnight location to overnight location is doable, but as you will see on the road, you'll only be able to do a tiny fraction of what you have listed there. Hi, we spent 41 nights between the Bungle Bungles to Broome, Dampier Peninsula, Gibb River Road the Darwin in July/August last year and even then we missed places and or could of stayed longer at other places. As Birgit mentioned there is no way you can do that trip in 11 days and if you do you will spend majority of your time behind a steering wheel, bugger that. To do a trip like this you are better off putting it on hold until you can build up more time and money so you can actually enjoy this magnificent country. 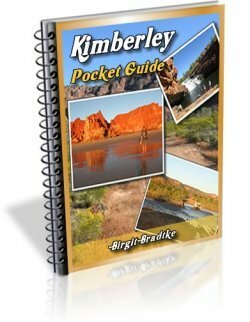 Return to Kimberley Trip Itineraries.